There’s always a flurry of calls that we attend day in and day out. Out of these many calls, some will definitely send you scurrying for a piece of paper and pen. It might be an address, it might be a phone number, or it might just be a dinner date which you don’t want to forget (again). Every time you need to jot something down, you can’t keep searching for a pen and piece of paper. What you need is an auto call recorder that backs up all the important- or not so important – details. 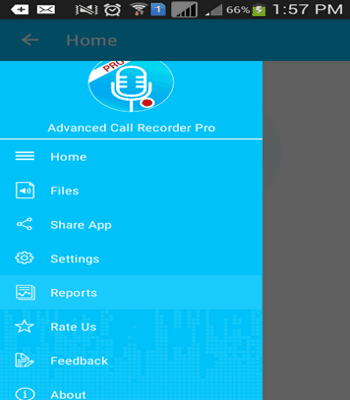 Advanced Call Recorder is one such app developed by utility software company Systweak Softwares. There’s a free as well as pro version, both of which are available on Google Playstore. For starters, the app does exactly what it’s meant to do. The term ‘Advanced’ relates to other interesting functionalities. What makes any app stand apart from the rest in the crowd is its ability to zero in on a problem and give the best possible solution for the same. A stock Android phone usually doesn’t have a live call recorder. 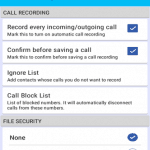 Advanced Call Recorder arms your smartphone with this much needed feature. 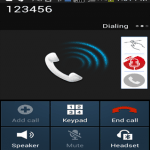 You can use the app for recording both incoming and outgoing calls. It also gives you the option of discreet recording. One of the most lauded features of Systweak products is that they are extremely user-friendly. Same is the case with Advanced Call recorder. It can be setup very easily. The best thing about this app is that it makes you aware of the legal implications of call recording at the very outset. For those who don’t know, many countries have strict laws regarding live call recording. You can use the app after understanding and accepting the legalities. After you done with this, every time you get a call you can manually record the call by tapping on the call record icon displayed on the largely blank screen or from the menu list. 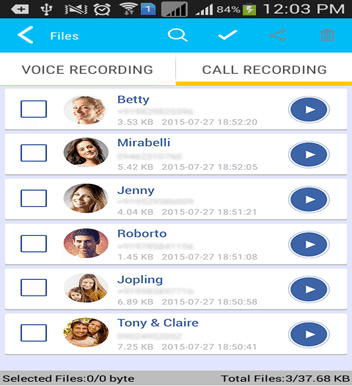 From the moment you install the app, an audio file will be generated for each one of the calls. This audio file will basically be a record of all calls you make/attend. Audio clarity is very good. You can even record IVR systems (Interactive Voice Response) which usually get disconnected on mobile phones. Among the many additional features is the “ignore” list. 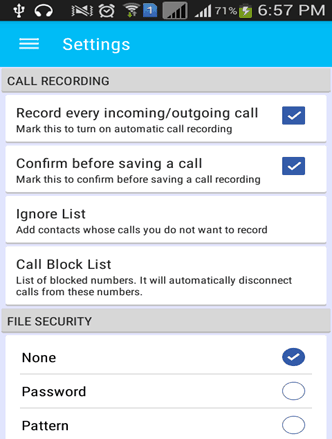 You have the option of not recording calls from/to numbers that you don’t want to. You can also block unwanted calls with the app. All the audio files are password or pattern protected making them secure even if the phone is not with you for some reason. 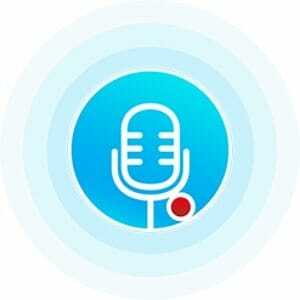 Although you can share the audio files with others, they can only be played by using Advanced Call Recorder which basically means an added layer of security. You also have the option of saving the files in MP4 or 3GP format. A few more would be nice. You basically need an app like this mostly for official purposes such as conference calls, interviews, or instructions you gave/received while driving. 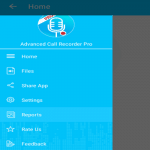 Advanced Call recorder won’t disappoint you. The file sharing feature is an added advantage. Overall, the app is not missing out on much. Cloud storage would be nice though; but it’s nothing that we can’t expect during future updates. In all, the app does it primary job well along with some cool features that come in handy.